Many years ago, when I opened my first counseling and clinical hypnotherapy practice in Nashville, Tennessee, my perspective was primarily psychological, based on my training and education. But in working with people over the course of time I began to see the limits of this paradigm and often, in hypnosis, individuals would spontaneously go far beyond the boundaries of my accepted belief system at the time. Slowly I opened up to the reality that the inner world of consciousness was much grander than I had been taught or even imagined. Although I had an MA in behavioral science and religion and was certified in clinical hypnotherapy by the Center For Integral Medicine, school of medicine, UCLA, I soon learned that, in working with people, ‘book-learning’ wasn’t enough. I came to realize that knowledge was of the mind, while true wisdom was of the heart. Wisdom is born of our experience in all the areas of our life: our relationship with other people, our bodies, our emotions and our understanding of the nature of the universe and how it works. I continue to be an avid reader, always seeking deeper understanding and knowledge in all areas of life, but it is really wisdom that I most honor. It is wisdom that I fall back on in counseling others and meeting my own challenges in life. I have come to see that we live in a multidimensional universe which is not easily contained or even understood by the custodians of consensus reality such as conventional science, medicine, organized religion, etc. Quantum physics is only now discovering what true mystics have known for eons – the universe is a hologram and every thought and action is related to and affects the whole. The ‘western mind’ has been excellent in taking things apart and analyzing the various components and elements. This has given us our advanced science and technology. It hasn’t been so good at seeing the relationship of all of the parts to the whole, however. Our current environmental crisis as well as our ongoing infantile approach to international relations is the result of a world view that doesn’t understand the interrelatedness of all things and the long term results of our actions. My own experience has been that a purely psychological, medical or religious approach to problems is insufficient because each approach relates to only one aspect of who we are. We are body, mind, spirit, emotions — and our relationships. So as we look at personal challenges, it is important to understand the interrelatedness of it all. Every practitioner is limited to the extent of their knowledge, training and experience. Each can offer only what they have. Each of us, however, has a “Wise Counselor” within whose knowledge is very specific to us. 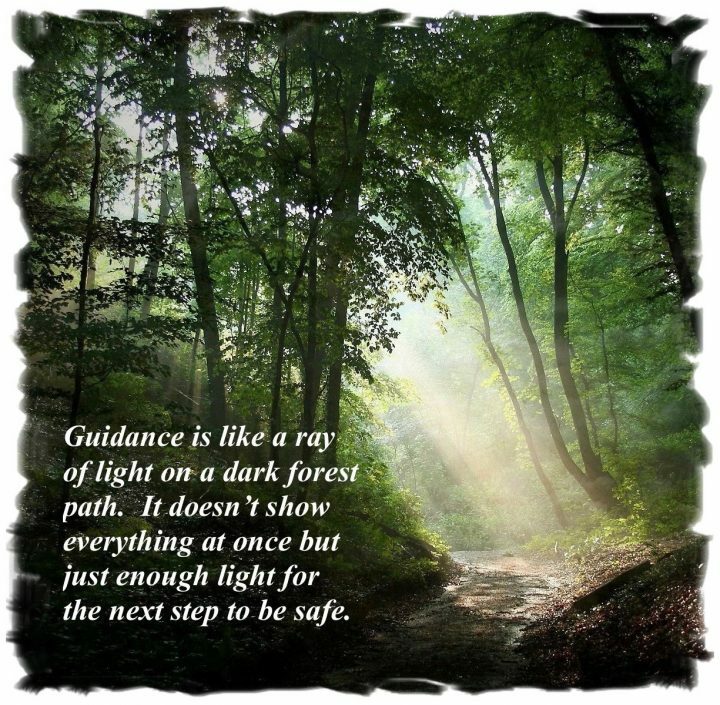 I simply call it Guidance. Some refer to the Higher Self. Call it what you will, we each have this innate wisdom which can be tapped for guidance related to our personal circumstances and challenges. A transpersonal approach can help us remove our masks, remember who we really are, step out of the drama and understand what is really going on. It can help us understand how and why we may have created this experience and what we can do about it. It helps us move into the macrocosm and see our experiences from the ‘big picture.’ This can offer us incredible insight. At some point in life each of us face crisis. Relationships are often the trigger. Sometimes it is a financial or health related challenge. Some struggle with deep questions about the meaning and purpose of life or hit a major turning point in life and don’t know which way to turn. The loss of a loved one can bring up our deepest emotions. Often we cannot alter circumstances, but we can choose how to view & respond to them. We can choose whether we will play the victim – blaming others for our situation – or whether we will be the detective & entrepreneur, delving deeply into the experience to understand why this is in our life, the message or gift it may be offering us, and how we can use it to our benefit. In a Guidance session we seek to do this by stepping ‘behind stage’ in our own drama to discover how we empower and disempower ourselves and what we can do to change, if this is our desire. This approach may or may not be appropriate for you. The answer to that question is within yourself. I encourage individuals to trust their own intuition/guidance in these matters. Guidance Sessions: In keeping with the resonate energy of the Sanctuary as well as where I am at this point in my own life, I offer what I call “front porch guidance sessions” which, depending on the weather and your preference, may actually be sitting on a deck over looking the cascading river, sitting around the woodstove or taking a walk along the forest road. These sessions are appropriate if you just need someone to talk to about personal concerns and have some guidance on how you might deal with them. These are offered on a donation basis, based on your own financial circumstances and how valuable the session is for you. They normally last between one and two hours. Stargate Hypnosis: In 1980 I opened The Human Potential Institute, a private counseling and coaching practice in Nashville, Tennessee. After being certified in clinical hypnotherapy by the Center For Integral Medicine, School of Medicine, U.C.L.A., hypnosis soon became the primary tool that I was using in my practice. With its use I began to discover the real depth and multi-dimensional nature of human consciousness as well as the limitations of conventional psychology in understanding human behavior. All of this led to a more holistic approach that took me into a deeper understand of the interrelationship of the physical, mental, emotional and spiritual aspects of our lives. What I learned in my explorations and study of consciousness is that there is much more to being human than meets the eye. As my world view expanded, I began to gain a depth of understanding that answered many lifelong questions about human behavior and the multi-dimensional nature of reality, all of which gave me a new framework for understanding of our human experience. Out of this experience I developed what I call “Stargate Hypnosis” based on the idea of stepping through the time-space dimensional doorway to explore multidimensional reality such as past lives, parallel universes, shamanic landscapes and other realms normally associated with myth and legend — all with purpose of solving practical 3D personal life challenges. 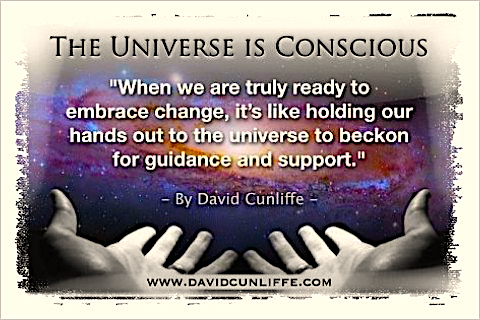 The ultimate goal is to help you access and work with the source of your own inner wisdom. This has been identified by many different terms. In psychology it is referred to as the super ego. In religious circles it is often called “Spirit” “Guide” or “Guardian Angel.” Others refer to it as simply the ‘higher self.’ It is that part of oneself that has a deeper wisdom and greater understanding; that part that sees from the macrocosm, or big picture. It is that part of each of us which can access realms of knowing that are not normally accessible to our ego-self. I am a firm believer in personal empowerment and, in addition to helping you gain insights concerning personal challenges, my goal is to give you tools that will continue to serve you beyond the brief time we have together. Initial sessions last approximately an hour and a half to two hours and are offered on a donation basis. However, they must be arranged in advance. For More Information, or to make an appointment, contact Michael Lightweaver at lightweave@aol.com.